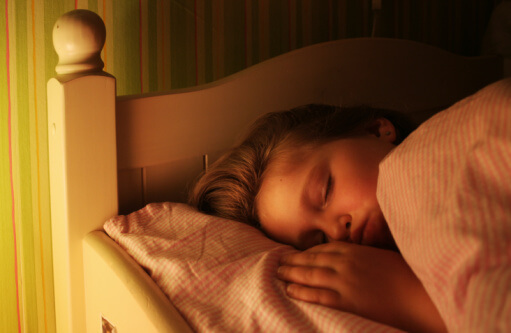 Is it dangerous for kids to sleep with the light on? Lots of interesting news has been coming out of the 2004 Children with Leukemia conference in London. We’re making great progress in leukemia, but also falling behind. Even though cure rates are climbing, more children are getting leukemia than ever before – especially in western nations, where it is the most common form of childhood cancer. But we’re not sure which exposures are causing the increase. Some studies have shown that diet plays an important role. Cured meats such as hot dogs and luncheon meats have been associated with increases in brain cancers and leukemia. Research from UC Berkeley presented at the conference suggests dramatic protection from leukemia for toddlers who get oranges, orange juice, or bananas in their diets 4 to 6 times a week before the second birthday. Research from Loyola University presented at the conference suggests that turmeric, a curry spice, might be even more effective. Curcumin, found in turmeric, is powerful at destroying cancer-causing molecules. Perhaps, turmeric is one reason that leukemia is so much less common in Asia. In India, it affects less than one child in a million. At the conference, Professor Reiter advised parents not to allow their children to sleep with the light on, because doing so could make them more susceptible to leukemia and other cancers. He said that sleeping with the lights on should be absolutely prohibited. It is important to understand that there is no proof that there is a link between light at night and leukemia. This is speculation – but speculation that makes sense to me. We do know that light at night suppresses the body.s production of melatonin. Melatonin is a powerful protective substance. Low levels of melatonin may be one reason that night workers have higher rates of breast cancer. Perhaps one of the many reasons that cancers have increased so much since the invention of the electric light has to do with changes in our melatonin levels. Blind people, whose melatonin levels are not affected by light, have much lower rates of cancer. All other things being equal, I’d turn out the lights. fruit balls! you people are fruitballs.